This lemon ricotta muffins recipe is simple, easy to follow, and produces the softest, lightest, most lemony muffins. The toasted almond topping gives the perfect crunch and texture. Perfect with tea! We all love Giada De Laurentiis, yes? I used to watch her show Everyday Italian and would be mesmerized as she made cooking look easy, simple and just so glamorous (unlike the chaos that is me in the kitchen lol). Anyway, I’m excited because this is the first recipe of hers I’ve attempted to bake (Red cooks off of her cookbooks all the time, to great success). She actually calls this her Nonna’s recipe so you already know it’s going to be special. Grandma recipes always are. And it’s perfect as expected. I changed very minor things – more as a personal preference. Let’s get baking! Before that, did you ever wonder what the difference between a muffin and a cupcake was? I always thought frosting = cupcakes but apparently it goes deeper than that. Muffins are considered healthier and closer to bread; cupcakes are, well, mini-cakes. And it has to do with how they are mixed too. Regardless, we like both! Anyway, back to these muffins. 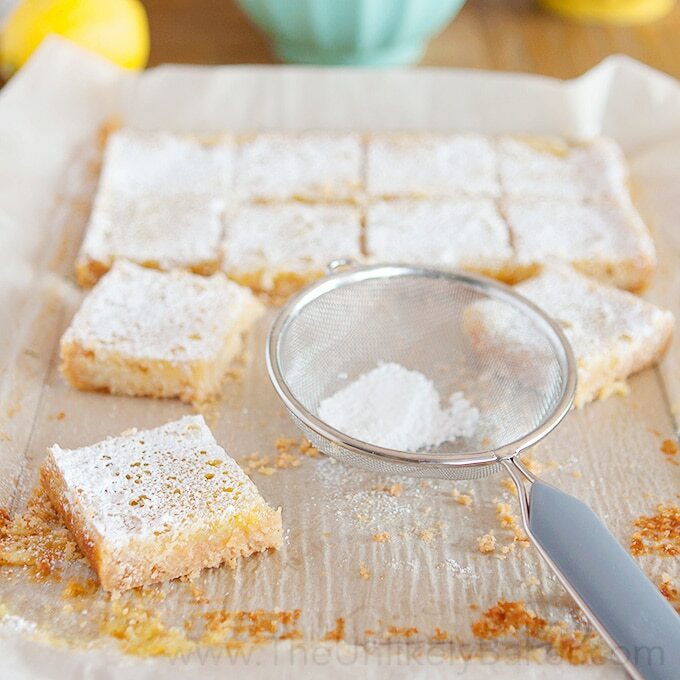 They are a treat for lemon lovers (and even for those who only like lemons a little bit). I consider ricotta as one of my magic baking ingredients (check out this Fresh Blueberry Ricotta Bars) and lemon and ricotta pair beautifully. 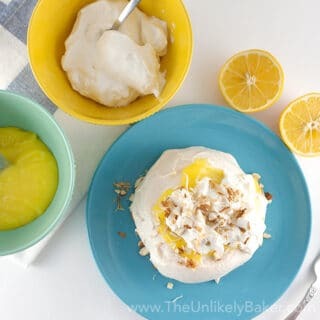 The original recipe calls for just sliced almonds but I decided to toast them – toasting brings out this unique flavor that complements the sweet and tangy lemon very well. So spend the extra 5 minutes and toast your almonds – you won’t regret it. I also did not add any almond extract. I’m not a big fan – though you can add it back in if you are. What I did on the other hand was up the lemon flavour by adding more lemon juice and I love how this muffin turned out…hope you do too! This lemon ricotta muffins recipe is simple, easy to follow, and produces the softest, lightest, most lemony muffins. Perfect with tea! Preheat your oven to 350F. Prep a muffin pan by lining with paper liners (this recipe yields 12 muffins). In a medium bowl, whisk 2 cups flour, 1/2 teaspoon baking powder, 1/2 teaspoon baking soda and 1/2 teaspoon salt. Set aside. 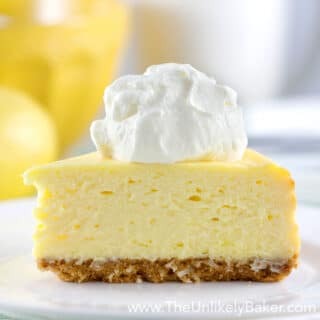 Using a handheld electric mixer or a stand mixer fitted with the paddle attachment, beat 1 cup sugar, 1/2 cup butter and 1 tablespoon lemon zest until pale and creamy (about 3 minutes on medium high speed). Scrape the bottom and sides of your bowl and add 1 cup ricotta cheese. Beat until combined. Add the egg and 4 tablespoons fresh lemon juice until well incorporated. Again remember to scrape your bowl. Add your flour mixture about a third at a time and stir on low speed until just blended (the batter will be thick and sticky). Transfer and evenly divide your batter into your 12 muffin cups. Sprinkle with sugar and toasted almonds. Bake for 20 minutes or until the muffins turn a light golden brown and a toothpick inserted in the centre comes out with minimal crumbs. Cool in the pan for 5 minutes then transfer to a wire rack to cool completely (or you can serve them warm). Did you give this lemon ricotta muffins recipe a go? Tell me about it in the comments section below. I’d love to hear all about it. Check back in on Wednesday – a chocolate muffin recipe is on tap. And let’s get social! Find me on Facebook, Pinterest, Instagram, Twitter, Google+ and Flipboard. Or subscribe so you don’t miss a recipe. I promise I don’t spam (I hate spam too). These look super delicious! Thanks for sharing the recipe! I’ll add this in my fall favorite recipes! I love your blog posts, again these cupcakes look incredible! I love the colour cases you have chosen as well, they really compliment the colour of the sponge. 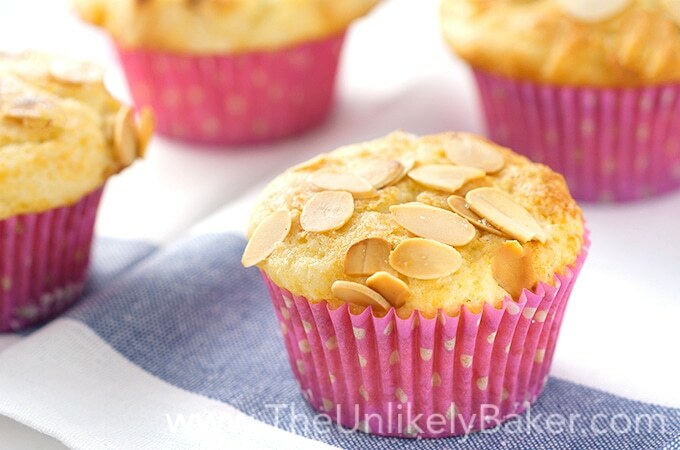 The toasted almonds sound delicious over these muffins! I haven’t baked using almond oil, so I don’t know if I would like it or not! those sound so yummy! I am a fan of anything ricotta and toasted almond, so I will have to try it. I did not know what the difference between muffins and cupcakes were, always thought of it as an American thing, I just did not grow up with. Thanks for shedding a light on that subject, blessings! Thanks Claudia! It’s really just me I guess, I didn’t think the difference was that technical though haha. Sending good vibes your way too! 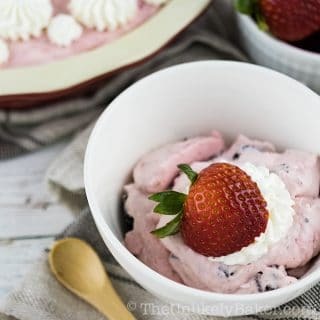 I could not dream up a more delicious recipe!! I like all the ingredients and would not change a thing. Thanks for clarifying the difference between muffins and cupcakes! Thanks Brian and you are most welcome for what I guess can be our little fun fact of the day lol! Yaay!! lemon is back! 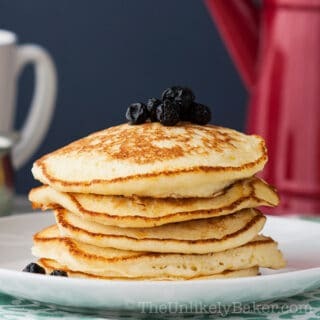 I never had anything with ricotta and lemon combined, these look scrumptious!!! LOL! Ikr? I missed lemon too!! Dang all these summer fruits haha. Thanks Suchi! Thanks Jessica! Ah yes, that sounds like the perfect day for me! I never thought about the difference between a muffin and a cupcake, I always thought that muffins were thicker. 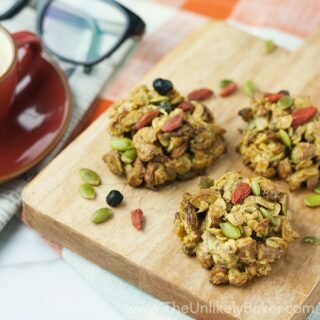 I love muffins, they’re my go-to breakfast and these are definitely worth the try! Haha I may have too much time on my hands thinking about these things! We both like them, yes? And yay for muffins for breakfast! I love everyday Italian! I also love how simple and beautiful the plating looks in this dish! It was a great show wasn’t it? I wanted to be Giada (except I couldn’t cook lol). Thanks for the pin Anne! I love lemon muffins. I never thought about putting ricotta in them. Sounds delicious! This is for sure something to try! 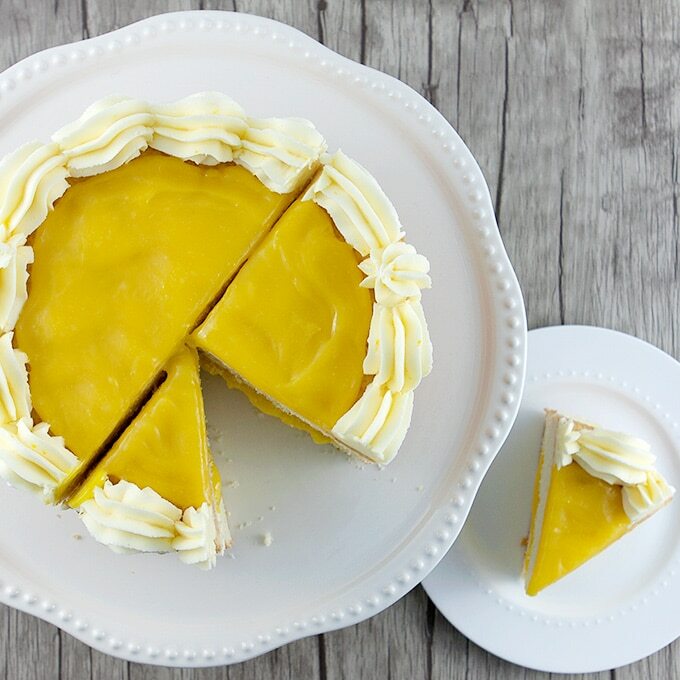 Lemon and ricotta is just a match made in lemon heaven! 🙂 Hope you like it Neely. Thanks! THESE LOOK ABSOLUTELY UNBELIEVABLY AMAZING! 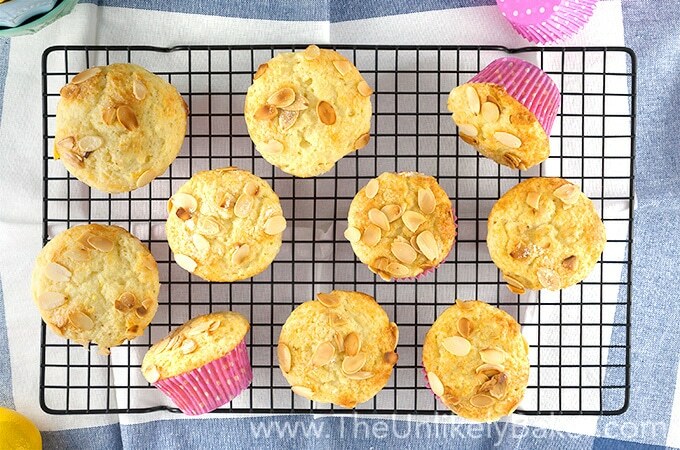 These ricotta muffins look divine, I love lemon too so to me it would be the perfect mix! Thanks Ana! I had these taste tested by my friends (with the promise that they would give honest feedback haha) and I’m so happy they liked it. Hope you do too! I’ve watched Giada too and love some of her recipes. She makes it seem so easy! 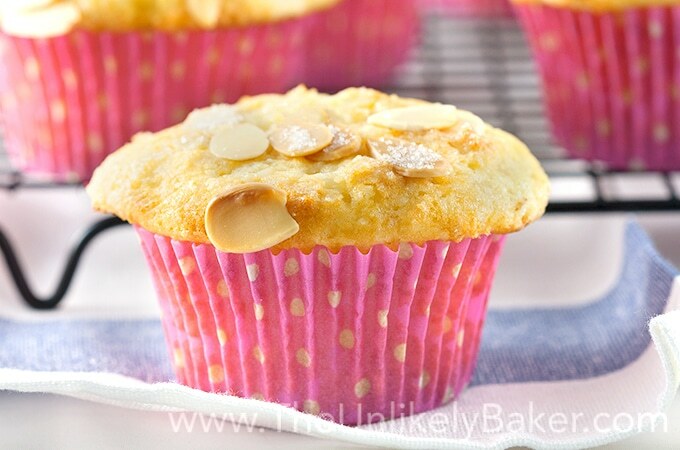 LOL These lemon ricotta muffins look really moist and yummy. That ricotta definitely gives it a great texture! She does doesn’t she?? I mean, she doesn’t even get dirty while me on the other hand have flour on my hair LOL! Thanks LaKisha! Yummy! I have never had a muffin with ricotta so this looks like an awesome recipe to try! Thank you for sharing! Ricotta makes everything better me thinks 🙂 Hope you get to try it. Thanks Janine! Wow! It looks so yummy. I want to make some this weekends for my son. 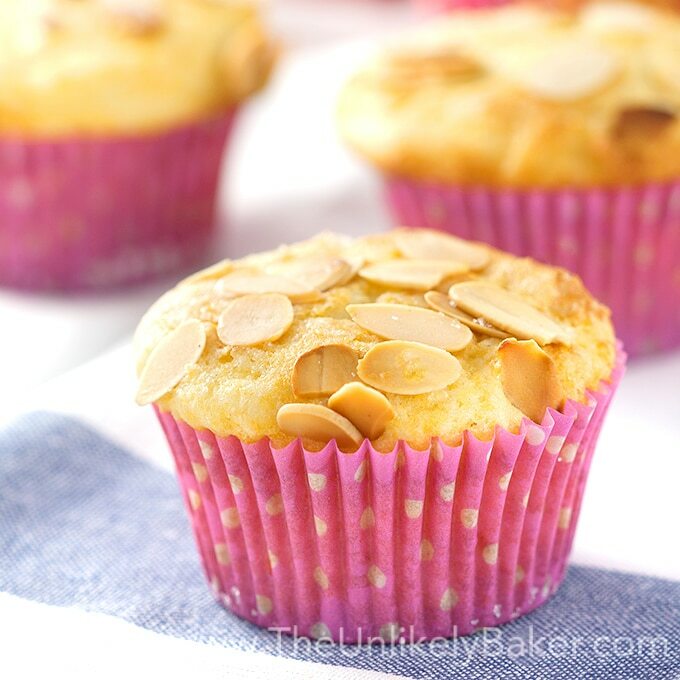 I do love the taste of lemons so this muffin recipe of right up my alley! Not sure if this klutz should try making them——-but I sure would like eating them! Hey…if THIS klutz can do it, so can you haha! 🙂 Hope you give it a shot Michele! Would love to hear how it goes. I just know these will be amazing! I will be making these very, very soon! YUMMY! I’m not the best baker and sometimes i think it’s just laziness (haha) but once in a while I’m tempted to try recipes like these! It looks and sounds delicious! Hi Julie! Thanks! I’m still a beginner baker too and still learning and this is IMO the perfect recipe to experiment on…very high % of success lol. These look and sound so good! 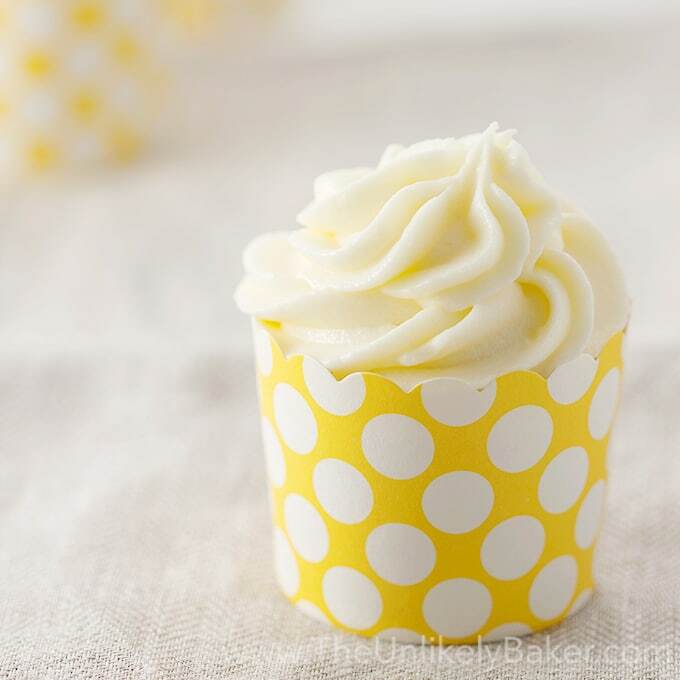 I love lemon anything, Im going to have to give these a try! Aw these are so cute and lovely! Love the addition of toasted almonds – toasting makes everything better. I’ll be honest, I’m still tempted to add frosting…even if that would move this into cupcake territory….but I’m sure these are amazing without. Oh man these look really good. Have never had a lemon with ricotta anything before. I might actually give these a try. I’ll skip the almonds though since I’m allergic but my kids may like it on theirs. Sounds delicious! Do you think this would be ok with mascarpone too? Thanks Sabrina! I haven’t tried but just remember that mascarpone is like very thick, very dense cream while ricotta is more like cottage cheese. So this difference will affect your muffin’s texture. As to the taste, I think your mascarpone version would be amazing. If you do decide to go ahead with using mascarpone, let me know. I’m so curious about how it would turn out! 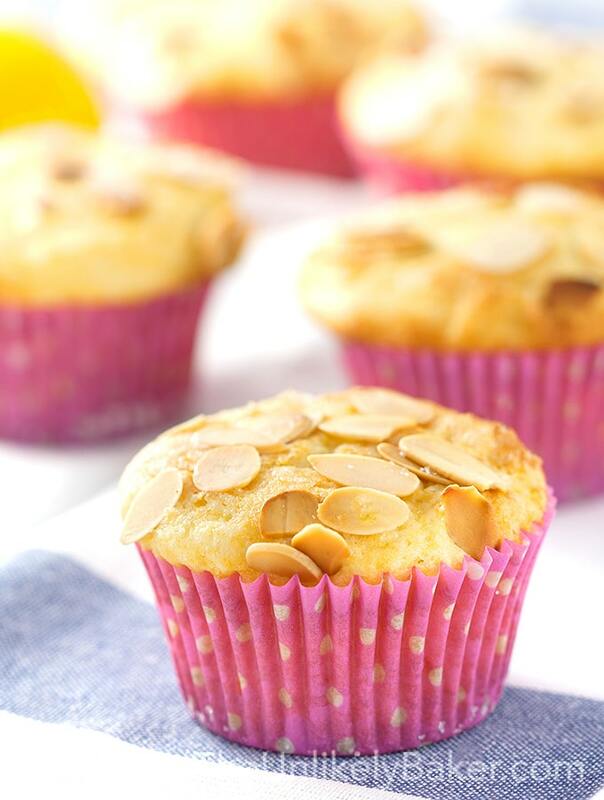 I have never questioned the difference between cupcake and muffin, but it is actually a fun thing to think about 😀 What would you suggest to top the muffins with if you have a tree nut and almond allergy? I ate something similar to this in a cafe recently and now you’ve provided me with the perfect recipe. Thanks! Awesome! Now you don’t have to pay for overpriced muffins haha 🙂 Thanks Lisa! I have been dying for a muffin for the last two days and these look divine. I haven’t ever made muffins with ricotta so I must say I am intrigued! These look so amazing! And absolutely delicious! Ricotta is pretty awesome isn’t it? 🙂 Hope you like these muffins! And yay for team lemon lol! Thanks Stephanie! 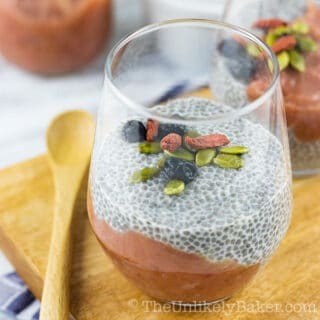 This sounds super amazing….I needed to make these like yesterday! These are so cute! What a perfect tea party treat! These are a must try, holy YUMM!! Pinning for later! Oh wow. These look so delicious!! This is definitely a recipe that I would like to try! Beautiful photos btw! Oh my god this sounds and looks fantastic ! I love anything lemon. These look Amazing. This are so cute and tasty. My daughter just saw the post and said to make it for her. So happy to hear that! Mommy needs to make some muffins then lol 🙂 Hope you guys like these as much as we did! Would love to hear how it goes. Hi Dawn! I just always thought no frosting? Then it must be a muffin haha (which I realize is pretty dumb now). Oh yay for lemon! 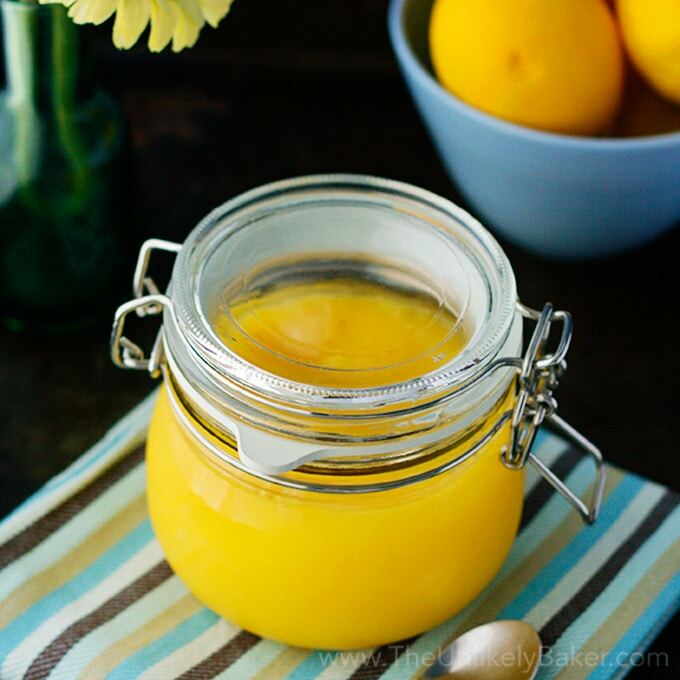 This is a lovely lemon recipe, hope you like it! Thanks for the pin!